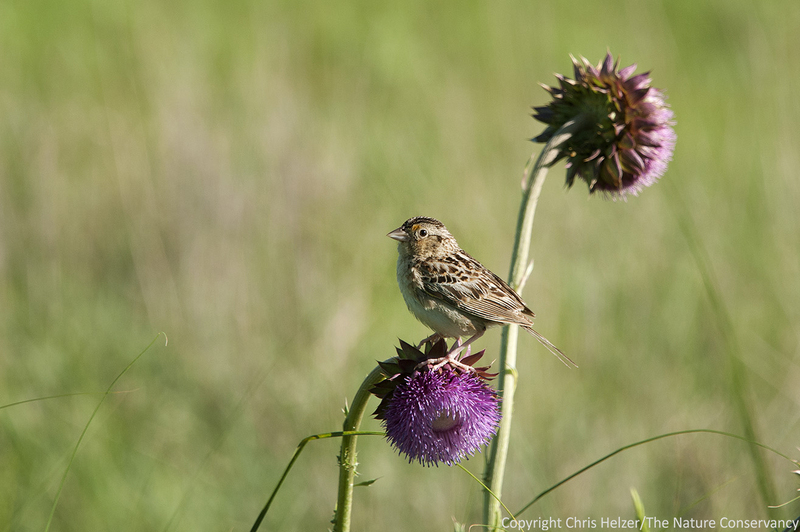 This entry was posted in Prairie Management, Prairie Natural History, Prairie Plants and tagged anne stine, grassland management, hubbard fellowship, internship, musk thistle, nebraska, platte river, prairie management, the nature conservancy, thistles, weed control, weed whacker by Chris Helzer. Bookmark the permalink. As a fellow prairie enthusiast and former prairie restorationist and land manager (and Tollstoy fan), I can say, “I know exactly how you feel”. Many times it does feel like “fighting the tide with a bucket”, especially during the growing season. 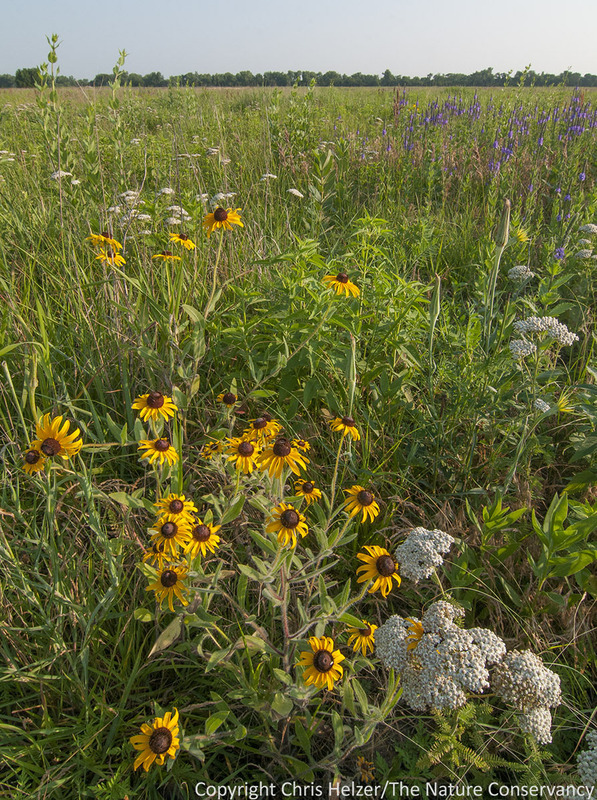 However, when you have the opportunity to work with a particular piece of prairie, over a long period (10 years or more) you will absolutely see the fruits of your labor, and I promise, it will not have been in vain. Keep doing what you’re doing. It looks beautiful, and I hope to make it up that way again…someday! Anne – I have a small 1+ acre prairie I seeded in Spring of 2010 and every year I spray, spade, and defoliate using my gas trimmer. It isn’t fun, but each year it looks better and I know it’s worth the effort. A month ago I had a bunch of flowering smooth brome which I whacked down with the trimmer. Now I see a bunch of sideoats grama seed heads which is much more pleasing to the eye. I know the brome is still there, but since I don’t see it I don’t think about it now. Keep up the good work! 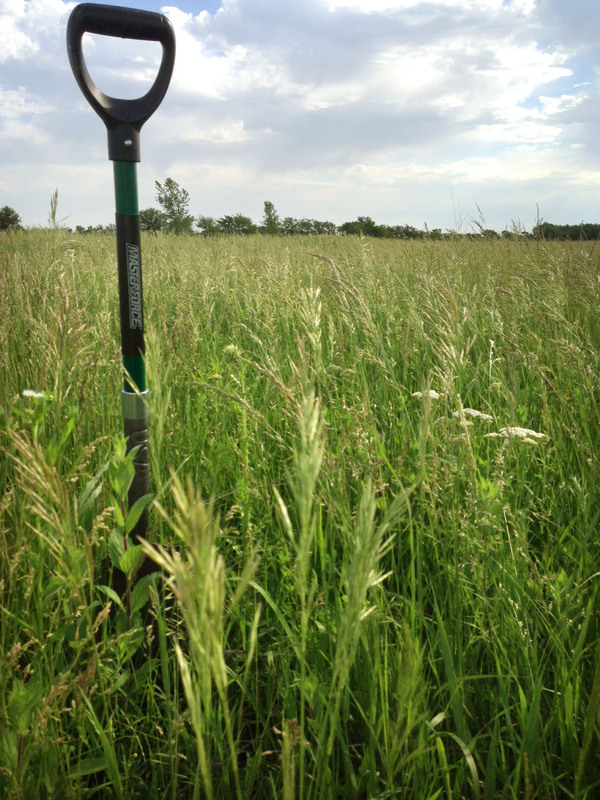 I suggest using the Radius Garden NRG Pro Weeder. If you use a more ergonomic tool you will be able to get more accomplished.